In just three days the natural food industry will gather in Santa Monica, and we have a special networking party planned. 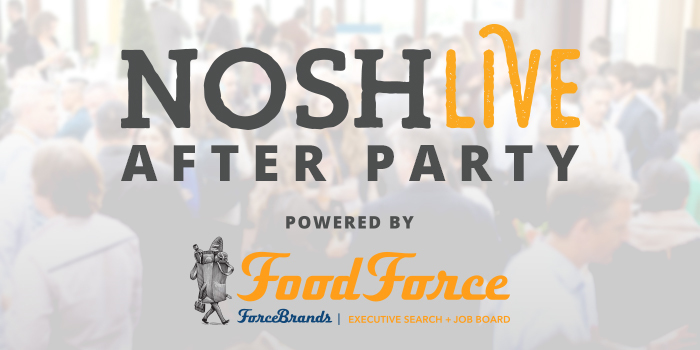 The NOSH Live Afterparty Powered by ForceBrands and supported by Hu Kitchen, Snack Nation, Whipstitch Capital, Aspect Consumer Partners and Marsh & McLennan is an exclusive networking opportunity for conference attendees. 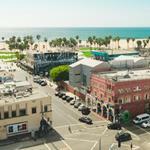 After a busy day one of NOSH Live, take the conversation across the street to Jimmy’s Famous American Tavern, located at 1733 Ocean Ave Santa Monica, CA 90401. The event will take place just a stone’s throw away from the conference venue on Thursday, November 29th from 6:00 PM to 8:00 PM. All NOSH Live Winter 2018 registered attendees are invited to join their peers and enjoy all-inclusive craft cocktails, beer, wine and food provided by Jimmy’s, Urban Remedy, Laws Whiskey and Wild Roots. Have naturally occurring business discussions and build upon new and established partnerships in a relaxed setting. Admittance requires a conference badge and valid I.D. If you’re interested in networking with over 300 natural food leaders, investors and innovators, time is running out to register for NOSH Live this week, on November 29th and 30th. Secure your seat at the two-day conference focused on moving the natural food industry forward. 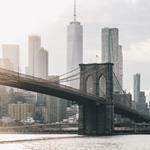 Networking opportunities will also be scheduled during the main conference, including periodic networking breaks and the two hour Sampling Experience & Expo which features product sampling, expert tables and sponsored exhibits. Only three days remain until the conference and hundreds of natural food professionals have already signed up. Register now to join them.